This bike and boat tour in Germany begins in Wolfsburg. 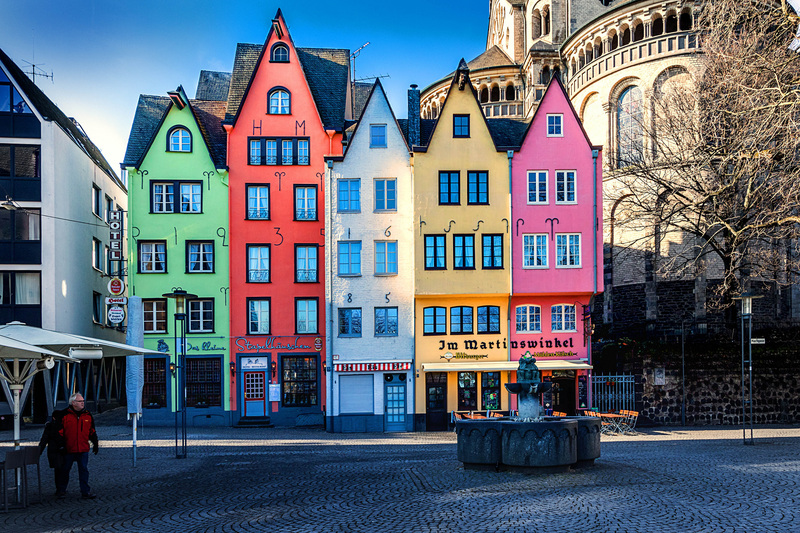 From there you'll cycle through Münster, Düsseldorf, and other famous German cities with rich historical legacies, allowing you to truly experience Germany. Nature is highlighted, as well, as you cycle the shores of Steinhuder Lake, the surrounding nature park and the Weserbergland. Through the Natural Preserve of Steinhuder Lake you will find a variety of landscape consisting of extensive moorlands and woods. Here, sailboats rule as motor boats are only allowed with special permit. 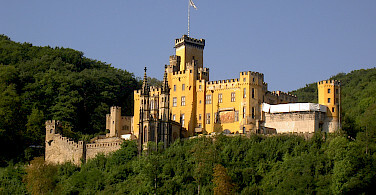 The Weserbergland is the setting for the magical tales of the Brothers Grimm. 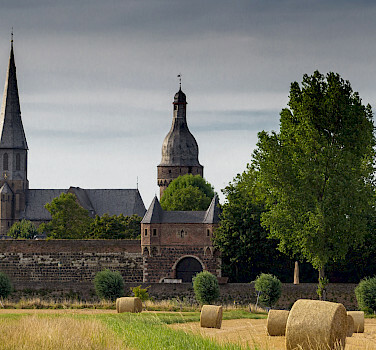 This bike and barge tour in Germany aboard the lovely Merlijn will not dissapoint you. It provides more cycling than on other tours on the Merlijn. Henk and Jantien, your captain and hostess, always create life long memories and will have you returning! 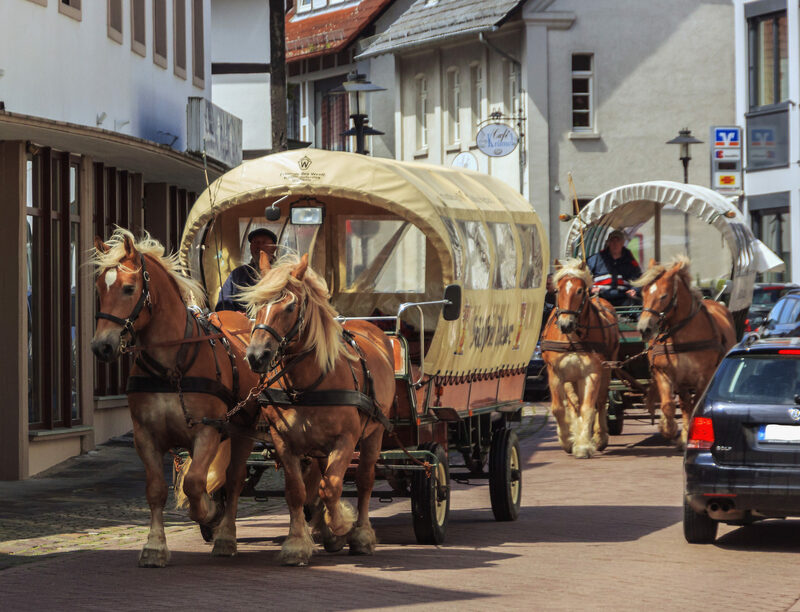 You can search our complete list of bike and barge tours in Germany here! Flying to Berlin, there are two airport options, Berlin Tegel and Berlin Schönefeld. 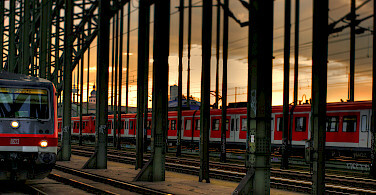 Berlin Tegel is the main international airport though you will find flights that land in either airport. If you land at Tegel, first you will take a bus from the airport to Berlin’s main train station and then on to Wolfsburg. Total travel time is approximately 2 hours and 20 minutes. 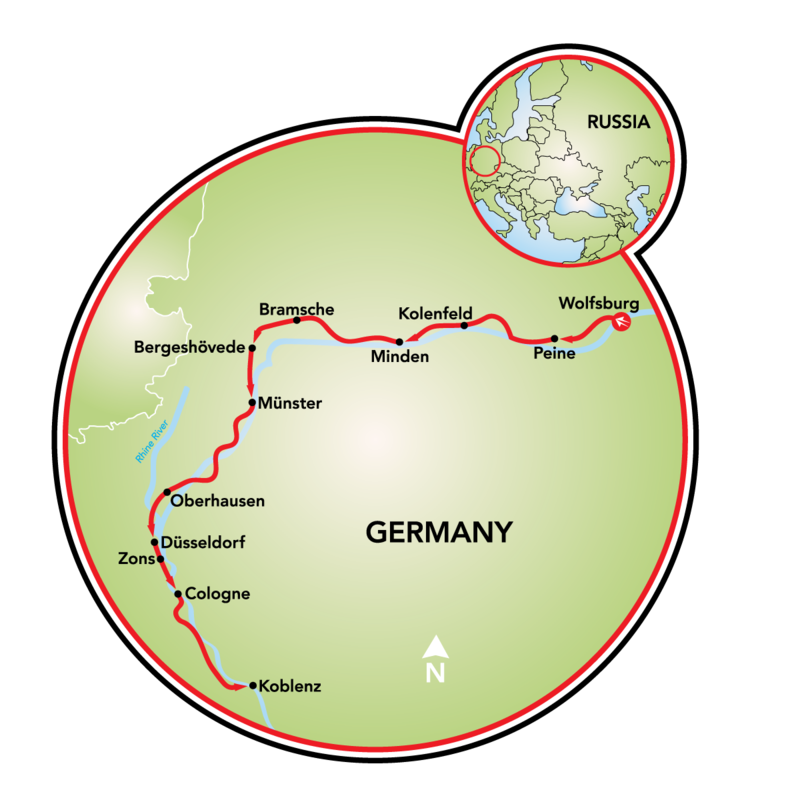 From Schönefeld, you would actually take a train from the airport with transfer at the main train station in Berlin to Wolfsburg. Travel time is approximately the same. 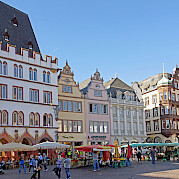 If you opt to fly into and out of Frankfurt, once your arrive in Frankfurt you will access a train at the airport to Hannover, and there transfer to train to Wolfsburg. Travel time is approximately 4 hours. 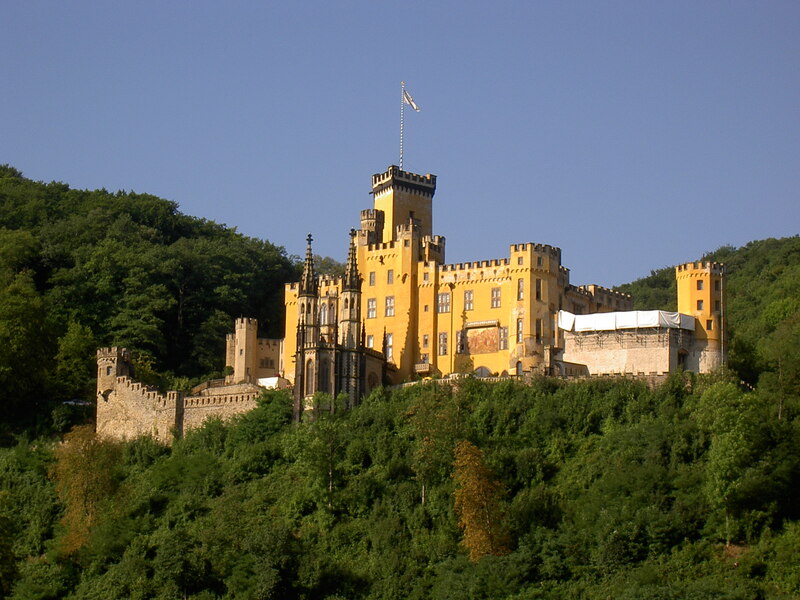 At the end of the tour, you will take a train from Koblenz to the airport. Travel time is 1 hour and 11 minutes. Please check local listings prior to departure. A good website to explore average high/low temperatures and other weather related information is www.weatherbase.com. Average high/low temperatures in Koblenz and surrounding during time of travel is 68/51° F.
Easy guided tour. Biking takes place on good asphalted bike paths and country roads. Daily biking distances are approximately 50 km on the average. The routes follow the flow of the rivers and are therefore mainly flat with only a few slight climbs. Immediately after check in at 2 PM, a visit to the VW Autostadt. While the castle that gave the city its name is as old as 1302, the city is now a major tourist destination more for the five modern museums covering automobiles, technology, science and modern art.Afterwards you will enjoy a welcome drink, with tour presentation, where you will learn about the ship, the tour and the cycles. Meantime, your vessel has already started motoring to Peine. Today you start sailing early, destination, the Midland Canal. The cycling will start in Kolenfeld, from where you can bike along the Natural Preserve Steinhuder Lake. 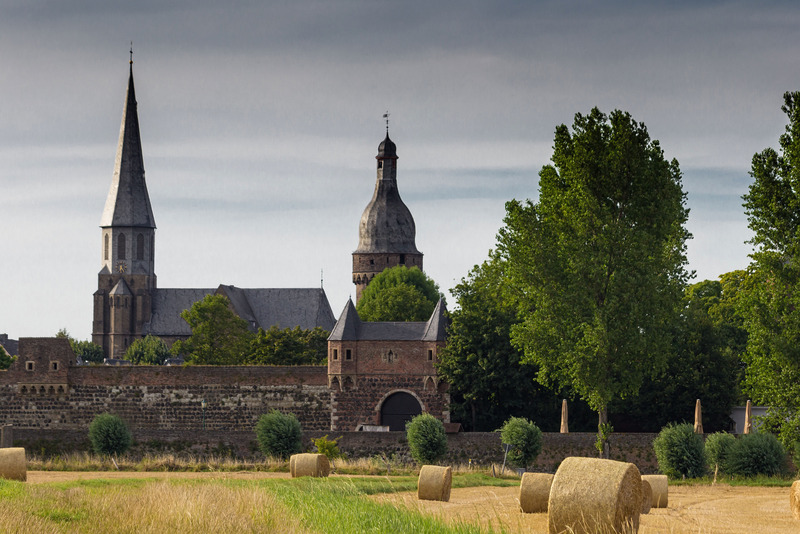 At the end of the day, you will arrive in Minden, where the Canal flows over the Weser river, a magnificent view. Overnight in Minden. Again you have an early start with a sailing breakfast while you enjoy the view on the beautiful surroundings of the Weserbergland. 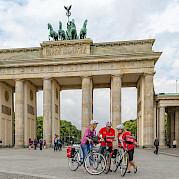 Your bike tour will be from Bad Essen to Bramsche, passing the Teutoburger Wald (Teutoburg Forest) a range of low, forested mountains in the German states of Lower Saxony and North Rhine-Westphalia. You will also pass the Kalkrieser Berg (mountain) where the Battle of the Teutoburg Forest (Varusschlacht) took place. It is described as the Varian disaster by Roman historians, having taken place in 9 CE, when an alliance of Germanic tribes led by Arminius of the Cherusci ambushed and decisively destroyed three Roman legions and their auxiliaries, led by Publius Quinctilius Varus.You are invited to visit this former battle field and learn more about the great history. Entrance fee is included in your trip. In Bramsche the Merlijn will await you, and from here will transport to Bergeshövede. 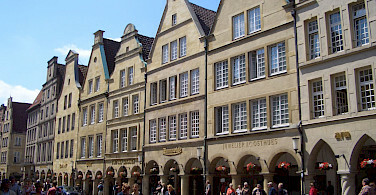 Münster is a city of science, city of sculptures, city of the Peace of Westphalia, and city of bicycles! It is a living metropolis with many faces. 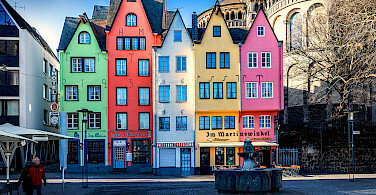 You will surely enjoy your night in here and exploring the Altstadt (old town). You start sailing from Münster early in the morning to Oberhausen. 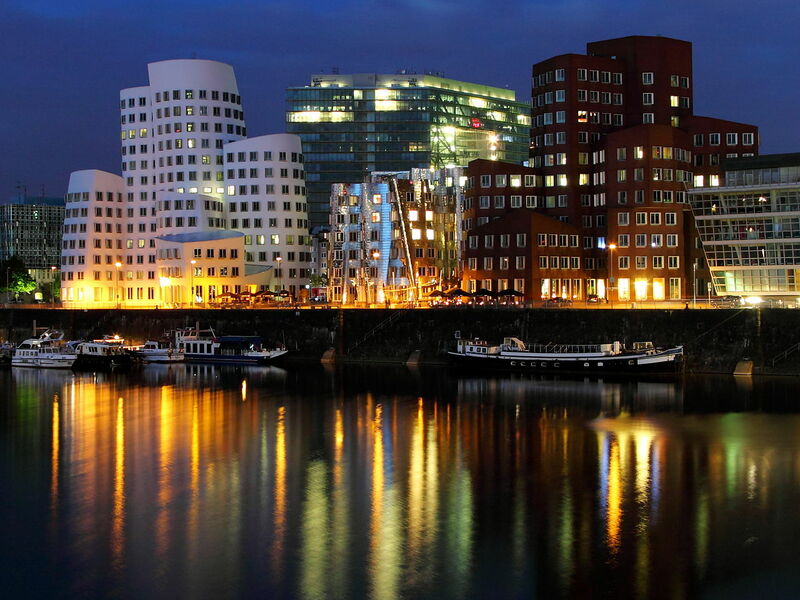 Here your bike tour starts and leads you to Düsseldorf. 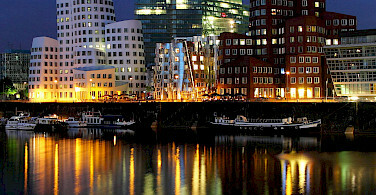 In Düsseldorf you will have time to explore this great city. 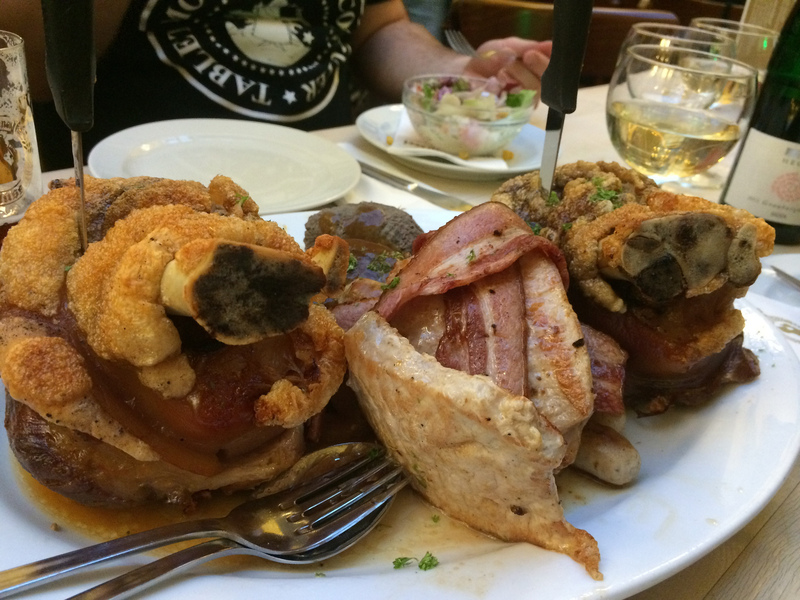 Tonight you will enjoy your dinner in one of the many restaurants here in Düsseldorf. While you enjoy your breakfast, the Merlijn sails to Zons. 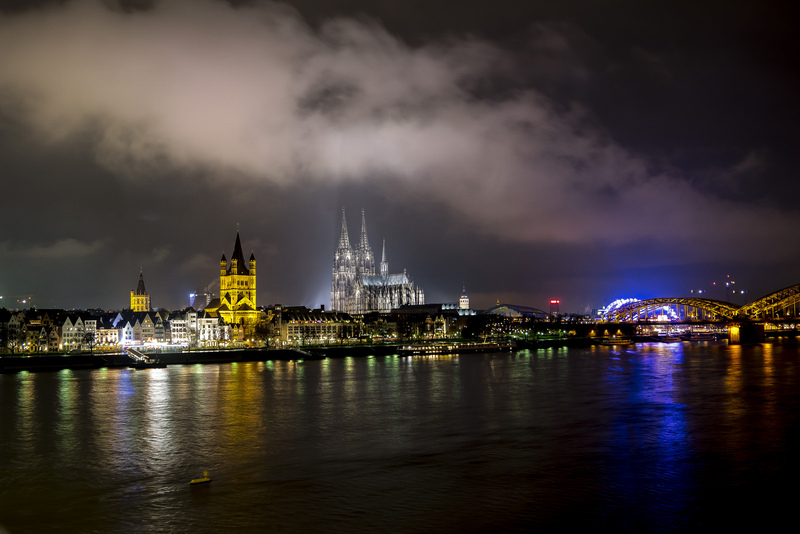 From here you will cycle along the Rhine river to Cologne. 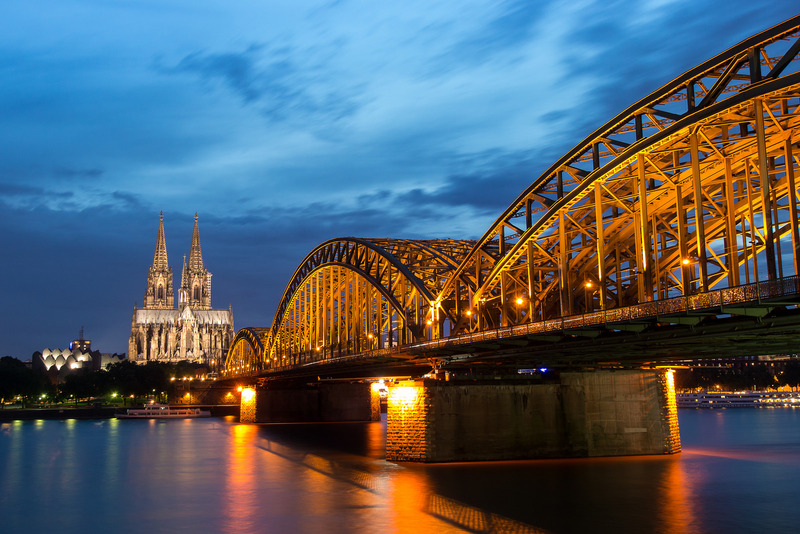 Already in the afternoon you can visit Cologne, where the cathedral spires tower (The Dom) over Germany's oldest city and its innumerable cultural and historical treasures, world-famous museums, and active art scene. People meet here for a Kölsch, a chat or simply a laugh. 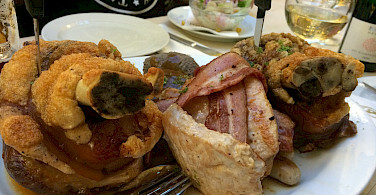 Life in Cologne is uncomplicated and vivacious. 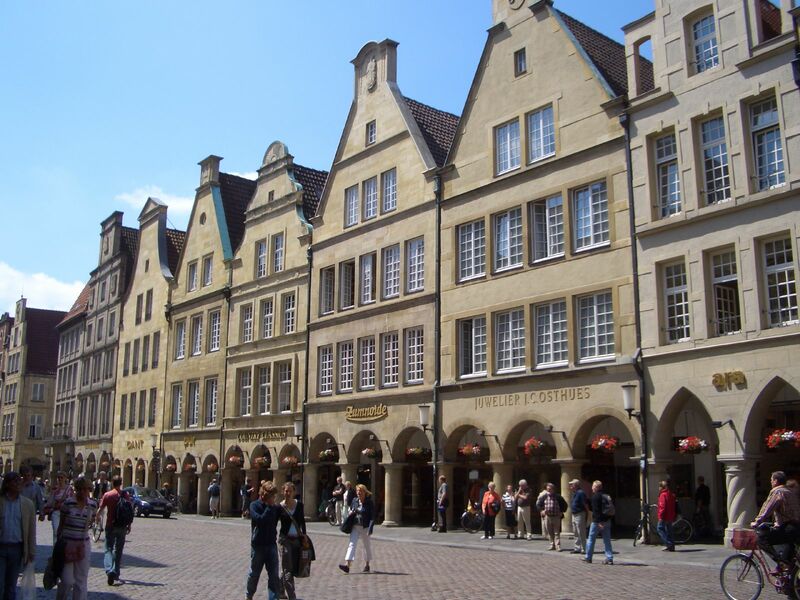 You will experience this great city even more in the Altstadt, enjoying a Kölsch as well! 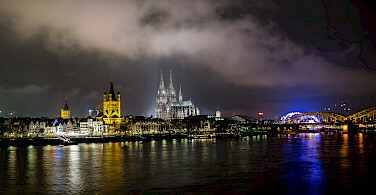 Overnight stay in Cologne. 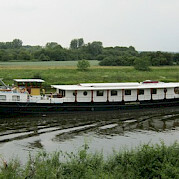 Early sailing to Bonn, where your biking tour starts to Andernach, here you will meet the Merlijn. 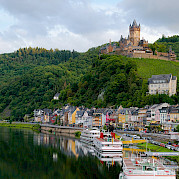 From Andernach, back on board, you motor to your final destination, Koblenz, situated at the Confluence of the Rhine and Moselle rivers. DAY 8: Departure from Koblenz. After breakfast we have to say goodbye to you and hope you had a wonderful experience on the Merlijn! 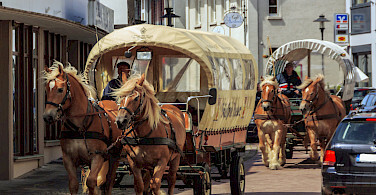 This tour is run by Jantien Wondergem.